Back in 1980, BMW introduced a new motorcycle concept in the R80G/S, the G/S standing for Gelande/Strasse, or basically cross-country and road, writes Mick Payne. 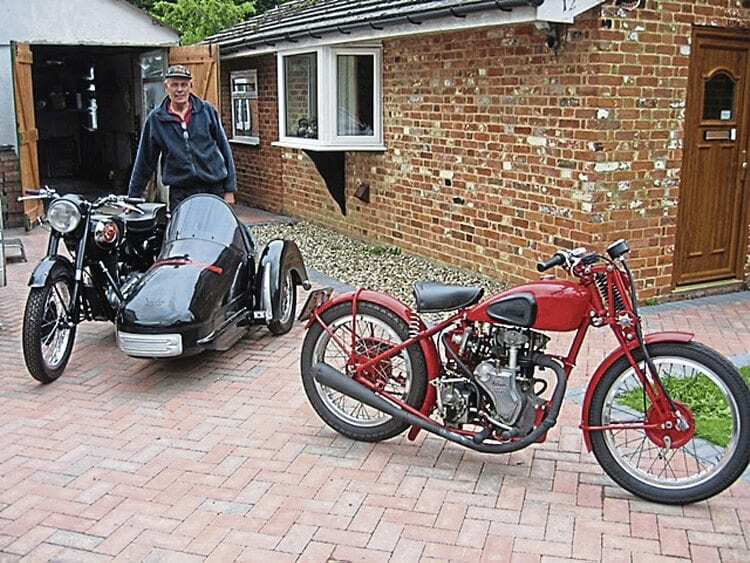 It proved a highly-successful model with iterations still being manufactured today, but for Keith Wash, the head man at Hedingham, the rugged looks sparked a few ideas of his own, and an equally rugged sidecar evolved. Standing by his BSA/Sprite outfit, Keith Wash shows off his lovely Velocette Special. The still-in-use original was the ATH, or All Terrain Hedingham, styled like a large version of a trials chair but in glass fibre with an external space-frame of small diameter steel tubing. This evolved into the Enduro Touring Hedingham, or ETH, a model that stayed in the range right up to the end. Although built originally to be paired with a G/S, it was fitted to a variety of the big adventure tourers that followed BMW’s lead. I remember Bob and Helen Aley of the HSOC having one fitted to a Cagiva Elephant, and I rode many miles on Keith’s own Guzzi Quota as well as the original G/S – and boy, was that sidecar light without a passenger! I well remember turning left at a junction and getting the BM into third gear before the sidecar wheel touched down again. Saved on tyre wear!